What are the benefits of studying the Bible with people from other cultures? 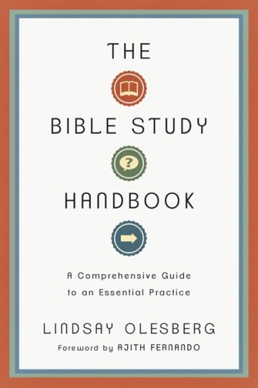 Lindsay Olesberg, author of “The Bible Study Handbook” has traveled the world studying and teaching with students, pastors, and leaders from vastly different contexts than our North American one. She seems to think there are plenty of benefits. We are working through her book seeing what new things we can learn about studying Scripture because, hey, we all need a little help right? But first we have to look at her fourth foundation of Bible Study. You can check out her first three foundations here. If we want our bodies to remain healthy, we need to actively do things that foster health (exercise, eating well, regular check-ups) and seek healing when we aren’t well. Too often, we don’t include our souls in the equation. The health of our souls is connected to all other areas of health in our lives. We aren’t disconnected beings. When you think about deepening your relationship with God, I’m guessing prayer, silence, and worship might make the list. But does Bible Study? I’m not talking about devotional reading. I’m talking about study. Digging deep. Asking questions. Searching for answers. Talking with others. Applying what you learn. Have you considered Bible Study a vital part of your spiritual life? Why or why not? You will always study the Bible better with other people. And you know who two of the best kinds of people to study the Bible with are? Why? Because they will see things that you miss. They will ask questions that you never thought to ask. They will understand some of the context better than you will. Every time. My closest friends are those with whom I have studied the Bible. Wouldn’t you want friendships with people who you can have deep, meaningful conversations with and who you can go live meaningful, purposeful lives of applying Scripture with? Then why do we spend so much time reading the Bible by ourselves? What are we missing out on? What is one of the best experiences you’ve had studying the Bible with other people? Have you ever studied with Non-Christians or Non-Westerners? What was that like? I attended a non denominational Christian college and my faith grew stronger from studying God’s word with believers from vastly different faith backgrounds. I attended my first women’s Bible study while living overseas and while we were all English speaking it was a very international group. Seeing Biblical truths outside of my American framework was amazingly eye opening. I think it is imperative to our faith journey to spend time in God’s word through Bible study and to be intentional about seeking out people who love God differently from us.